Studies have proven that working out in a group setting can provide better results, as there is a motivational atmosphere that energizes you to push harder. 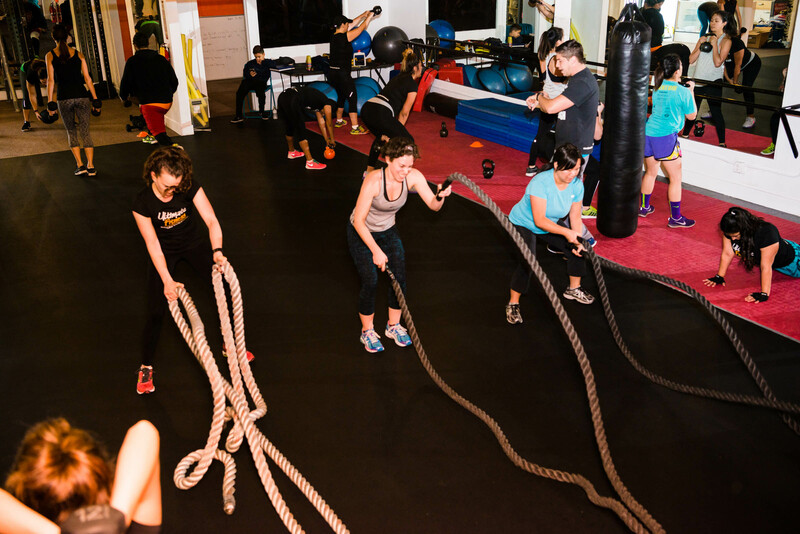 At Ultimate Fitness Breakthrough, we take the group setting to another level by creating a team dynamic where friendly competition pushes everyone to be a little bit stronger. 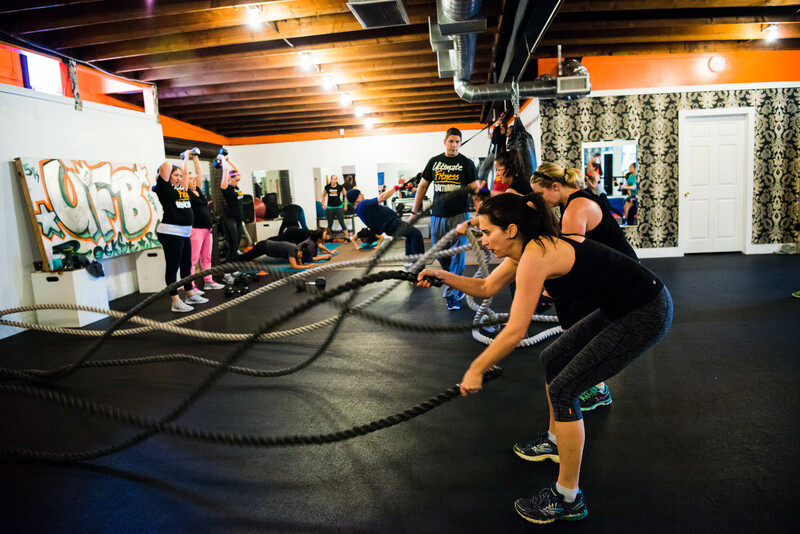 Not only is it challenging, it creates a fun environment where you can tone up, get fit, and reach your personal goals, whether it be a flatter stomach or a tighter physique. Need an emotional lift? Or need to blow off some steam? A workout at our Pasadena training facility can help! Physical activity stimulates various brain chemicals that may leave you feeling happier and relaxed. You may also feel more confident in your appearance when you exercise regularly, which boosts your self-esteem. Exercise is not only about toned abs and weight loss, it helps connect your mind with your body, allowing you to BREAK THROUGH your ULTIMATE FITNESS goals! Each 45 minute Training Session begins with a Dynamic Warm-up to get your heart-rate up, as well as to activate muscle groups that will be used in training. Following the Warm-Up, the Training Session is explained and broken down into either Rounds or Circuits. Each Round consists of 3-4 sets of different Functional Movements based on a daily training plan – Hi-Intensity Core and Cardio combined with Heavy Lifts and Functional Bodyweight Movements to ensure a balanced athlete. Each workout can be modified according to your fitness levels. No two workouts are EVER the same! 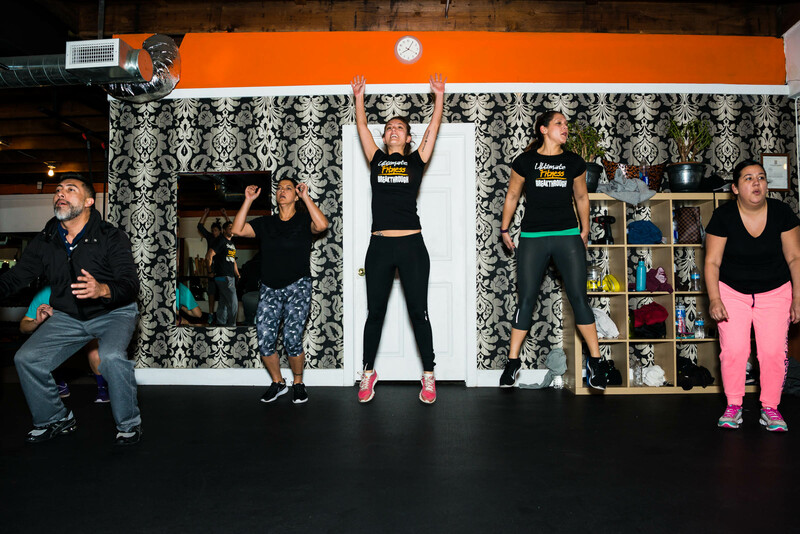 That, combined with deeply invested trainers, a community of encouragement & motivation between team mates/participants, and just plain fun – Ultimate Fitness Breakthrough is THE place to transform your life if you are ready. At UFB, our training program takes your fitness to the Next Level by challenging your body with targeting different muscle groups using various training techniques. Each day has its own emphasis > Core Conditioning, Strength and Power, Bodyweight Blast – where your body will be challenged by fun, fat-burning 45 minute training sessions. Our daily group sessions are motivational in that you are encouraged to perform your best, as every bit of effort counts toward your goals! A 360-degree transformation including a fun-filled, high-intensity full body workout. We specialize in getting you better results in a shorter amount of time! Ultimate Fitness Breakthrough isn’t a gym. It’s a revolutionary fitness lifestyle that challenges you to transform the way you are by delivering an unrivaled experience from training to regeneration. Get in more than a workout… Invest in a destination for regeneration. At UFB, we believe in the transformation of the body and mind, together! Most people walk through life not truly in touch with the greatness they are capable of. Often times, discovering that your body is physically capable of more than you ever knew, is the first step towards an entire lifestyle transformation. We specialize in empowering you physically – helping you realize your full potential in strength and endurance. The amazing thing is that becoming empowered physically, is essentially a gateway to becoming empowered in all other areas of your life. Nothing is impossible! You are the author of your own life.